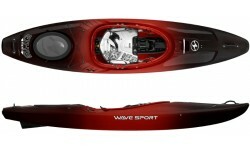 Wavesport produce some of the innovative & well designed kayaks on the market. Be it playboating, whitewater or just cruising on your local waters Wavesport offer some of the best performing kayaks available. Wavesport kayaks are manufactured in the UK - the factory is located near to Brighton Canoes so we can offer the fastest delivery for all models. The Scooter is one of the best selling sit-on-tops of all time. Versatile & robust with bags of style the Scooter is ideal for all types of recreational paddling. Formerly branded under the Perception flag the Scooter has now taken the Wavesport name. The Scooter Gemini has been a family favourite for years. Stable, robust & versatile it’s perfect for rivers, lakes or even sheltered coastal waters. Rebranded from Perception to the Wavesport Scooter Gemini. The Wavesport Ethos in its excellent value BlackOut outfitting option. Offering the same excellent performance kayak with a more affordable outfitting system that will meet the needs of most recretional paddlers. 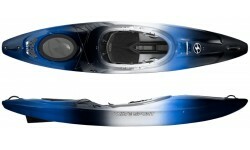 The Wavesport Horizon is the new name of the a popular Perception Horizon tandem touring kayak. Perfect for exploring rivers, lakes and coastal waters with tons on storage space. The Wavesport Vista is a tandem open cockpit kayak that is extremely stable with comfortable high backed seats. It can be fitted with an optional child seat. Available in 2 specifications. A flexible and fun touring boat from Wavesport, the Hydra suits anyone looking for a stylish touring or sea boat with high quality fittings and a great hull shape. 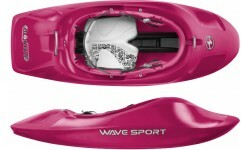 The Wavesport Project X is a high performance whitewater playboat that is just great fun to paddle. Be it throwing moves in your favourite hole, playing the river or tearing up the surf. 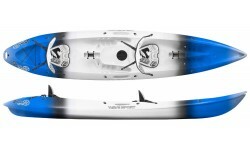 The Wavesport Mobius is a freestyle machine that will allow you to perfect & perform all the latest moves & find big air. Available in 3 sizes - Mobius 49, 57 & 65 to ensure the perfect fit and 2 specs for different needs and budgets. 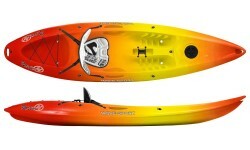 The Fuse 35 is a compact junior size version of the popular Wavesport Fuse kayak range. A great general purpose children’s kayaks that is stable, suitably sized and ideal for learning new skills. 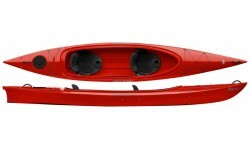 The Wavesport Fuse is a great play the river kayak that also performs great in the surf. 60% Playboat, 40% River runner, 100% Fun! Short enough to cartwheel & back deck roll but long enough to run your favourite river. 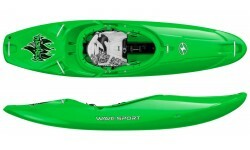 The D65 & D75 make up Wavsports popular & affordable D-Series club spec kayak range. Offering great all round performance for learning skils, river running and general paddling. 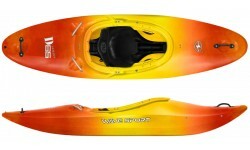 The Wavesport Diesel is a great all round kayak with excellent performance. Available in Wavesports Blackout outfitting offering unbeatable value as well as all singing Core Whiteout. 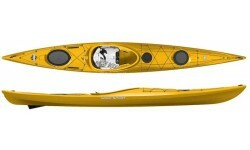 The Wavesport Recon is a full on steep creeking & extreme whitewater kayak. With high volume & displacement hull design for running big water & drops. Available in both WhiteOut & CORE WhiteOut speicifications. Ethos is designed as the ultimate all rounder for flat water touring and white water paddling. Top end outfitting available with the Core WhiteOut spec will suit those looking for a truly customised fit and for use on whitewater.